Become a Resource Parent Today! The Human Services Agency (HSA) provides State and federally-mandated public assistance and a variety of social service programs for the citizens of San Joaquin County. 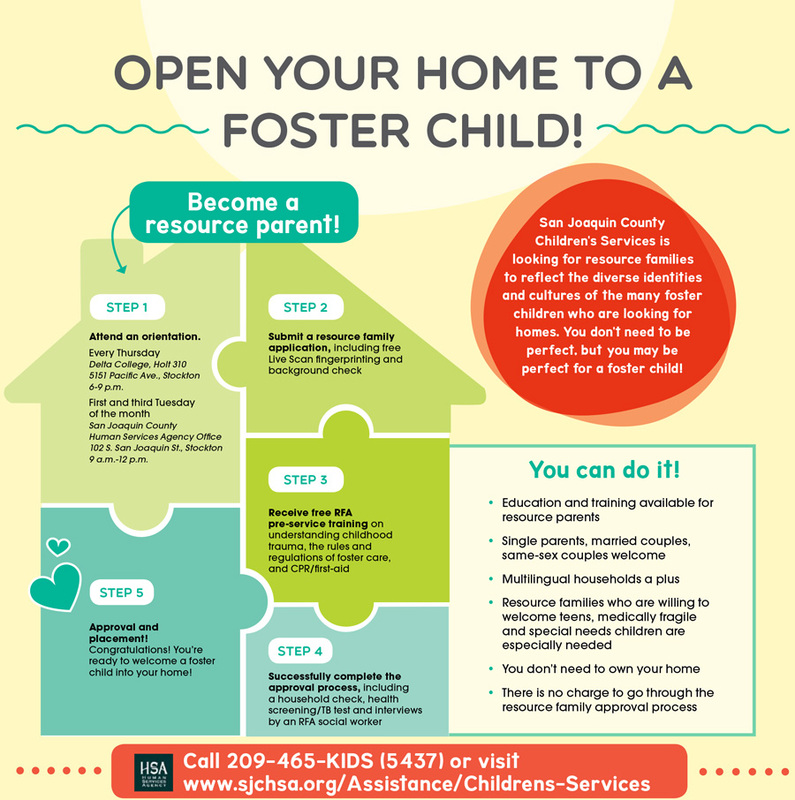 Programs include: California Work Opportunity and Responsibility to Kids (CalWORKs), Foster Care, CalFresh, General Assistance, Medi-Cal, Adoptions, Child Protective Services, Adult Protective Services, In-Home Supportive Services (IHSS), Refugee Assistance, and the Mary Graham Children’s Shelter. Federal and State legislation and local regulations govern the methods by which resources of the Agency are allocated.